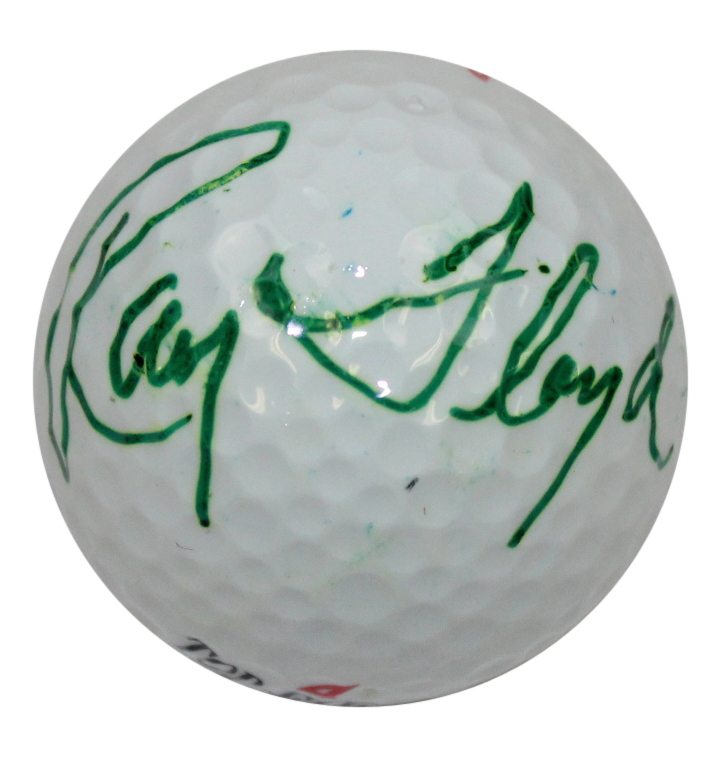 This is a Top Flight golf ball signed by Ray Floyd in green Sharpie, in good condition, with a few specks near the signature. Floyd is a winner of numerous tournaments ranging from the PGA Tour to the Champions Tour, but most notably he is a four-time major tournament champion. He edged Gary Player by one stroke at the 1969 PGA Championship, and then didn't claim his next major title until the 1976 Masters, where he led a dominant performance to beat Ben Crenshaw by eight strokes. He was inducted into the World Golf Hall of Fame in 1989.